Held in New York’s Javits Center, BookCon is the event where storytelling and pop culture collide. Experience the origin of the story in all its forms by interacting with the authors, publishers, celebrities and creators of content that influence everything we read, hear and see. BookCon is an immersive experience that features interactive, forward thinking content including Q&As with the hottest talent, autographing sessions, storytelling podcasts, special screenings, literary quiz shows and so much more. BookCon is the ultimate celebration of books, where your favorite stories come to life! If you’re in the area, it’s an amazing show for readers and NBM will be selling books at the IPG Booth (#1521) and will have a selection of titles available for 20% off! Heir to the wise Daniel, Hâsib is a young woodcutter promised to a great future. When his greedy companions abandon him in the middle of the forest, he meets the Queen of the serpents. She then tells her story, a fabulous adventure filled with gods and demons, princes and prophets. We find Prince Janshah madly in love with Shamsa, the bird woman of King Solomon. Love and perjury, epic battles and giant spiders ensue… From Kabul to Cairo, journeys intertwine with intrigues and spiritual quests while the fabulous nights follow one another. An enchanting and intricately designed interpretation of the story of Hâsib Karîm ad-Dîm, through which fragment of the giant tale David B. opens us the gates of the Thousand and One Nights. For mature readers. Born in Baltimore in 1915, and dead too early in New York in 1959, Billie Holiday became a legendary jazz singer, even mythical. With her voice even now managing to touch so many people, we follow a reporter on the trail of the artist on behalf of a New York daily. Beyond the public scandals that marred the life of the star (alcohol, drugs, violence…), he seeks to restore the truth, revisiting the memory of Billie. Through this investigation, Muñoz and Sampayo trace, through the undertones of racism, and in the wake of the blues, the slow drift of a singer who expressed the deepest emotions in jazz. By internationally renowned Argentine artists, featuring Muñoz’ strikingly raw heavy blacks, this is not just a biography but a spell-binding art book tribute. Benjy and I had a great time at the Book Con. So many people came over and wanted to hear Benjy’s story and get their copy of Ghetto Brother signed (for pictures from the event, visit our Facebook page.) A “nice young lady” (Benjy’s words) introduced herself as Sara and said she wanted to get a copy signed for her friend John. Well, John, that was John Leguizamo, known for “Ghetto Klown” (on HBO, on Broadway, and soon as a graphic novel) — and Sara was the great comedian Sara Benincasa. So Benjy and I had a brief conversation with John — and guess what, he not only loved the book, but he also heard about the story of the Hoe Avenue Peace Meeting before. We can only say, thank you, Sara. This weekend in New York City is BookCon, the ultimate celebration of books, where your favorite stories come to life. Storytelling and pop culture collide as both consumers and brands experience the origin of the story in all its forms by interacting with the authors, publishers, celebrities and creators of content that influence everything we read, hear and see. The show features interactive, forward thinking content including Q+A’s with the hottest talent, autographing sessions, storytelling podcasts, special screenings, literary quiz shows and so much more. Appearing throughout the show is writer Julian Voloj who will be signing copies of his book, the powerful GHETTO BROTHER: WARRIOR TO PEACEMAKER along with the colorful subject of the book, Benjy Melendez. 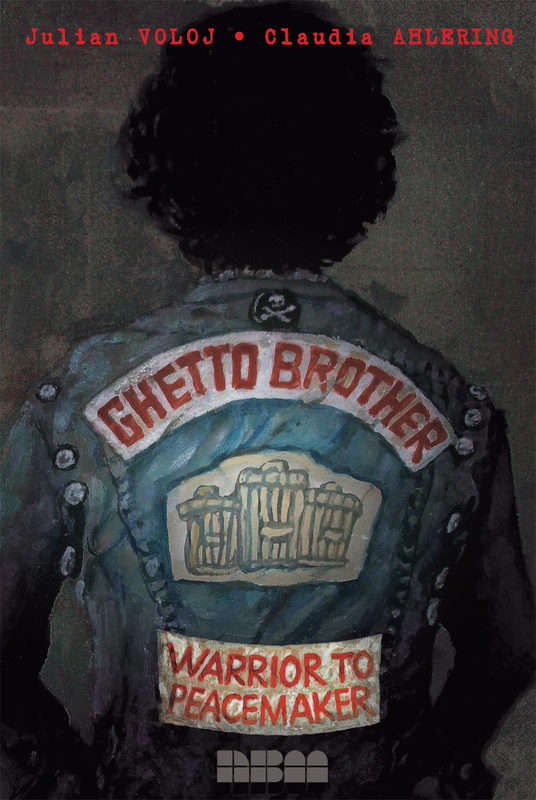 An engrossing and counter view of one of the most dangerous elements of American urban history, this graphic novel tells the true story of Benjy Melendez, son of Puerto-Rican immigrants, who founded, at the end of the 1960s, the notorious Ghetto Brothers gang. From the seemingly bombed-out ravages of his neighborhood, wracked by drugs, poverty, and violence, he managed to extract an incredibly positive energy from this riot ridden era: his multiracial gang promoted peace rather than violence. After initiating a gang truce, the Ghetto Brothers held weekly concerts on the streets or in abandoned buildings, which fostered the emergence of hip-hop. 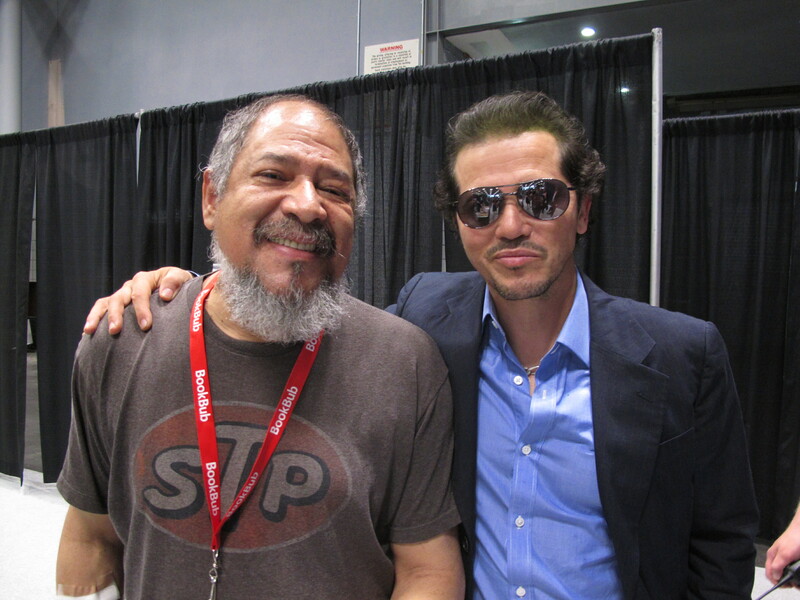 Melendez also began to reclaim his Jewish roots after learning about his family’s dramatic crypto-Jewish background. Julian and Benjy will be appearing at the NBM Table throughout the weekend.